The pieces are very well made, feels very flush and nice. There is attention to detail in all the pieces, you can tell there is great workmanship in the pieces. 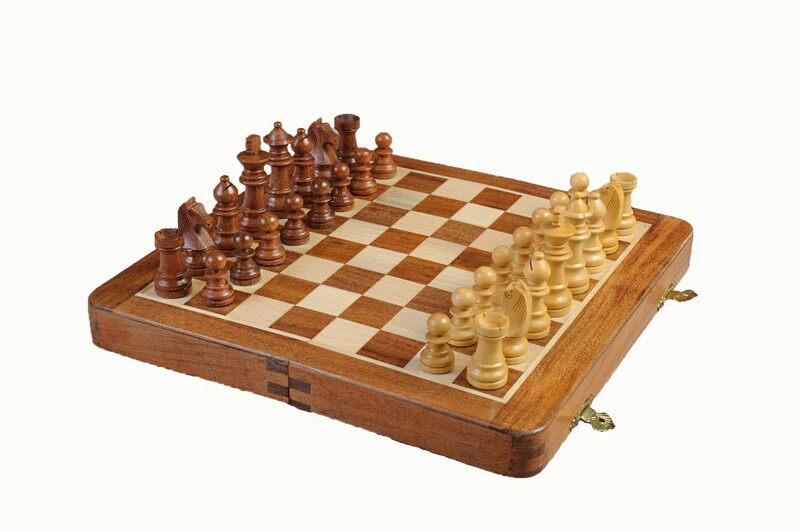 The chess pieces fits very well in the grooves inside the board so it does not move. The board is smooth and flush with the surface. The magnets holds very well. I've been looking at travel sets for a long time and I'm glad I was able to choose this as my travel set. Well worth the money. You're reviewing: FOLDING WOODEN MAGNETIC Travel Chess Set - 12"